Darjeeling: Binay Tamang on Saturday told supporters from Dooars that the party would not support the BJP in the 2019 parliamentary elections, the expected message assuming significance as it was the first time that the Morcha chief clearly spelt out the party's decision to dump the saffron party. Tamang was interacting with his supporters from Dooars for the first time after taking charge of the Gorkha Janmukti Morcha in Darjeeling. "I am happy that you want to strengthen the party in the Dooars. Please go and start reorganising the party, go the villagers and explain our stand but I want to tell you at the very onset, I will not support the BJP in the upcoming Lok Sabha elections. I am clear on this front and please make it clear to our people in the plains at the very outset," said Tamang. With Tamang saying no to the BJP, the question now is whether the Morcha will field its own candidate or support a Trinamul nominee. Sources in the Morcha said that a decision to this effect was not yet taken, but some sources said that a Morcha candidate from the hills was the most likely scenario. Tamang recalled how the BJP failed to deliver on its promises despite bagging the Darjeeling seat twice with Morcha support. "The BJP won from Darjeeling for two consecutive terms. We accept that they were in the Opposition during Jaswant Singh's time. Now they are in power but they have done nothing for us," said Tamang. The hill leader reminded the audience that no other than Narendra Modi had promised to grant tribal status to 11 hill communities. "Forget Gorkhaland, they have not been able to fulfil even this promise," said Tamang. "We want the BJP government to grant tribal status within August," he said. Darjeeling MP, S.S. Ahluwalia's silence during last year's Gorkhaland agitation was another major point Tamang broached. "The Darjeeling MP, who is also a minister, did not show any sympathy to our people during the agitation period. The BJP has only played with our emotions." 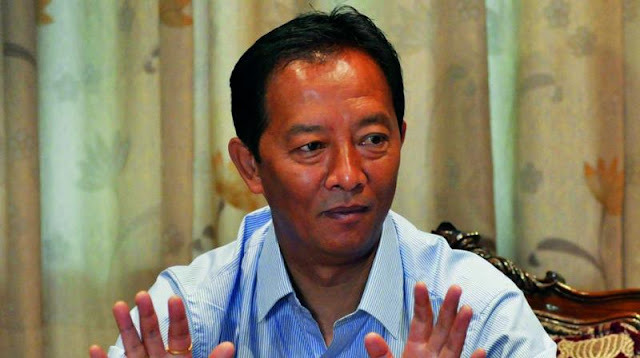 Binay Tamang on Saturday told supporters from Dooars that the party would not support the BJP in the 2019 parliamentary elections, the expected message assuming significance as it was the first time that the Morcha chief clearly spelt out the party's decision to dump the saffron party.